It’s been 45 years since the release of the original Nissan Skyline GT-R, so to celebrate, the Japanese automaker has announced this special commemorative edition. Is This Performance Concept the 2016 Nissan GT-R? 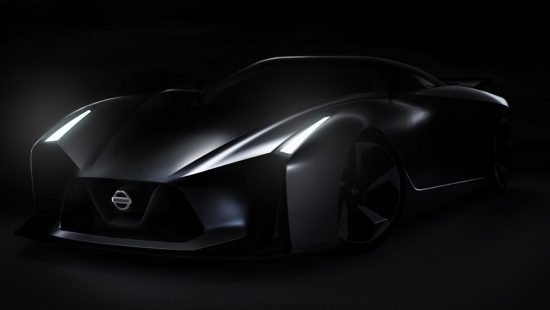 Nissan had teased last week a new vehicle that would become the 149th Nissan vehicle to join the Gran Turismo car list and since over half of the vehicles are GT-R variants its not that far fetched to assume that this latest concept vehicle they have teased is a GT-R Concept Vehicle of some sort. Could this be a preview of the next generation Nissan GT-R? If so, Nissan has shown that their concept vehicles are not that far off from production vehicles. Not much is known about the next generation Nissan GT-R other than the plan that Nissan has to include a hybrid powertrain and if this teaser is any indication, may borrow some design cues from their Le Mans Prototype, the GT-R LM Nismo. The waiting game continues for more information as the announcement expected today did not materialize and instead we are being told that June 16th is the next date to mark on our calendars. LOS ANGELES – On Monday, June 16, we will reveal the next chapter in our Nissan story to an audience that has always shared our passion for performance. A couple more shots in our gallery after the break. 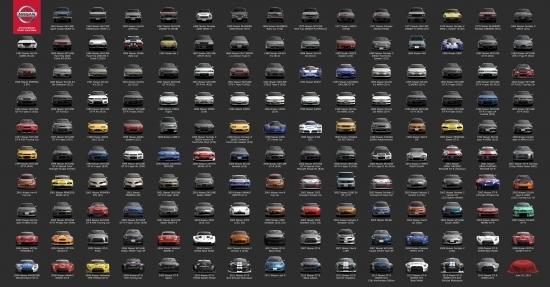 Nissan USA just posted this picture on their twitter showcasing every single vehicle that is a part of Gran Turismo’s ever growing list of cars. The current tally of Nissan branded cars sits at 148 with the 149th Nissan vehicle to be unveiled June 10th according to the chart. What’s crazy is that about half of the cars are some sort of Skyline or GT-R variant. It leads me to believe that the car that is going to debut in a few days is likely another GT-R of some sort. Based on the low profile, it doesn’t appear to be the next-generation GT-R, but is more likely an updated race car, perhaps the 2015 Nissan GT-R GT500 or some sort of special edition of the existing model? Could it be just another concept vehicle that we’ll see at the next car show? Perhaps the 2014 LA Auto Show? We have a higher resolution version after the break if you’re interested. 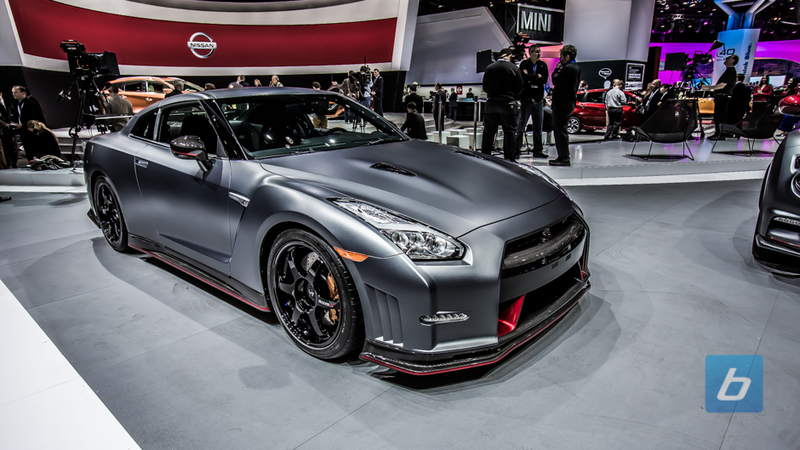 Nissan unveiled the newest edition of its GT-R halo car back at the Geneva Motor Show, but last week the GT-R NISMO made it’s North American debut at the New York Auto Show. As we revealed last year the massaged 3.8L twin-turbo motor puts out just under 600 horsepower and 481 lb-ft of torque, an increase of 55 horsepower and 18 lb-ft of torque. Pricing was announced back in February and if you’re interested in picking up a GT-R NISMO, it’ll set you back $149,990 or just over $151,585 after destination and handling fees. It will go on sale July 31, 2014 along with the GT-R Track Edition which comes in at a more moderate $115,710 ($117,305 after fees). 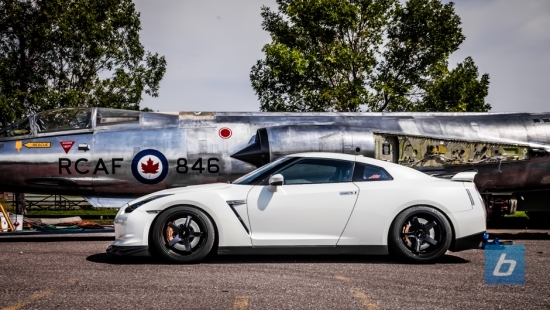 Canadian pricing has not been confirmed but with our dollar dropping Nissan may revise the differential that the current GT-R pricing has. I have to say, the matte grey GT-R NISMO that Nissan brought to New York looks a lot better than the white press pictures they released. The carbon fiber treatment just looks more at home on the darker car and the wing doesn’t seem so out of place. Check it out in the gallery.